When I found out that Pierre Hermé was creating a collection of my favourite patisserie in the whole of Paris, it would be an understatement to say that I was excited. I return time and time again to indulge in this perfect creation. 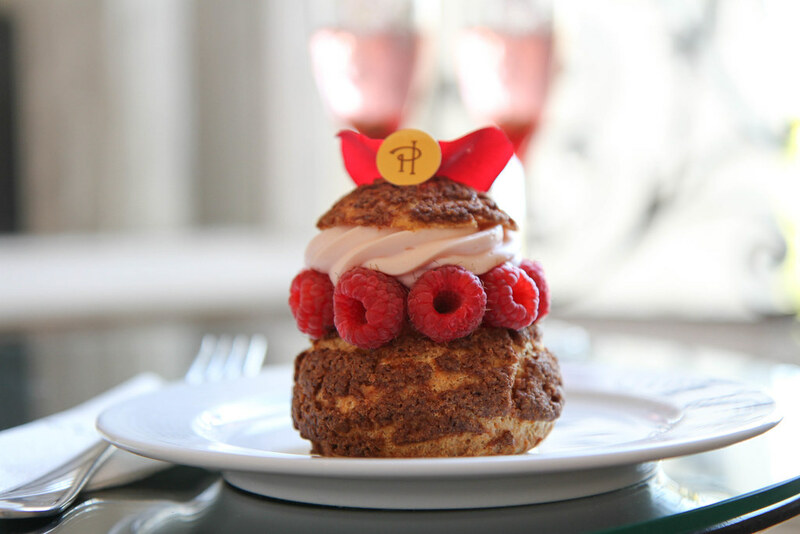 Much to my delight he is now offering a limited edition Ispahan range of all the classic French pastries including chou à la crème, millefeuille and many more. Your blog has seriously become my new favorite thing! It’s so simple, yet effective. Every time I read it I want to buy a ticket to Paris!! Buuuuuut this photo makes me want to give it a chance! Yes I agree the classic is definitely still my favourite but this chou was also very yummy ;) I love that you get one for your birthday every year such a cute idea! Me neither so excited! Thank you and oh yes you should its the best thing flavour combination ever created! I never knew about your blog but it’s absolutely amazing and the fact that You live in Paris and there are so many pictures of that city is even better! Looks amazing! How colorful and delicious!